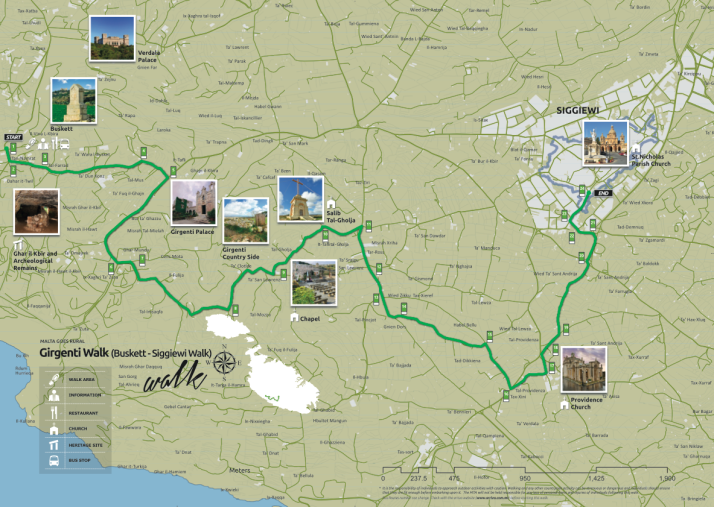 After thoroughly strolling our way through Istanbul, we decided to continue this form of sightseeing experience and we were delighted to find the Malta Tourism Authority provide leaflets for varying length walks that cover most of the island. 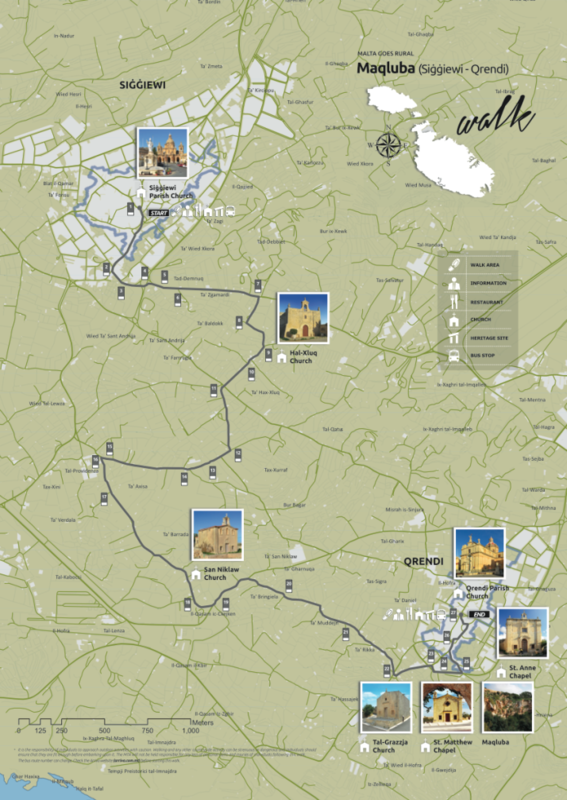 We picked up copies from the Tourist Information offices in the airport and Valletta, but they’re also available online, and in at least 3 languages: English, French and German. 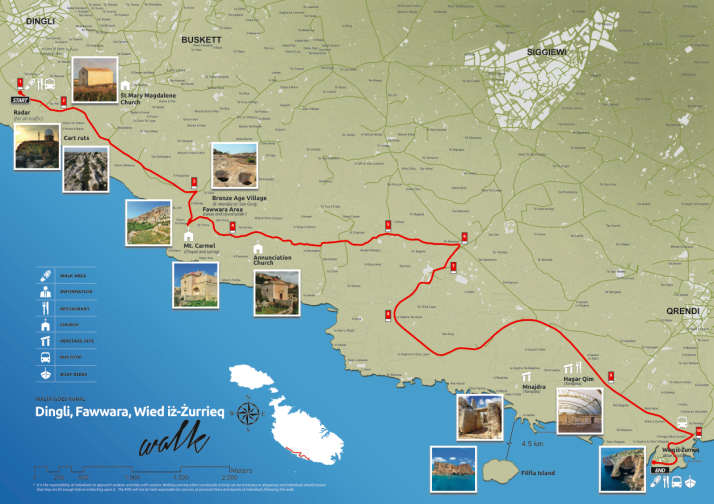 Of the 7 routes, we did 5 of them over the course of our months stay on Malta.. 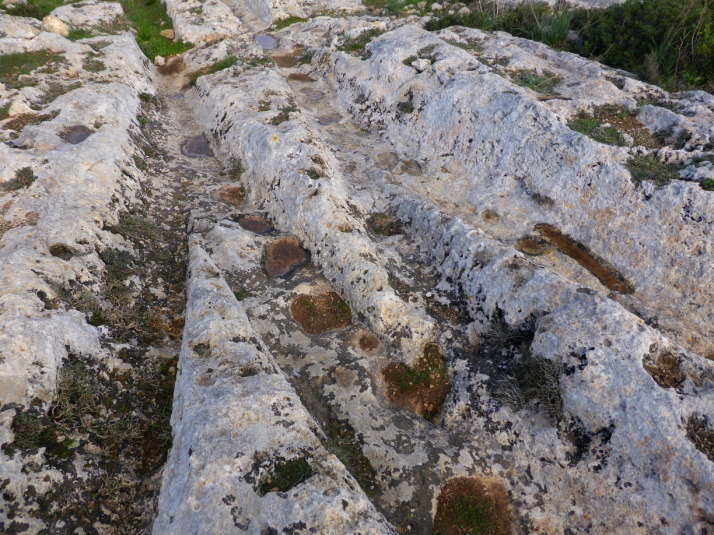 This was the first walk we did on Malta, and gives a great taste of the megalithic history of the islands as it includes the mysterious ‘Cart Ruts‘ near the start, and ends near the megalithic temples of Ħaġar Qim and Mnajdra. We liked that it was largely downhill, and there’s a good variety of sights too. 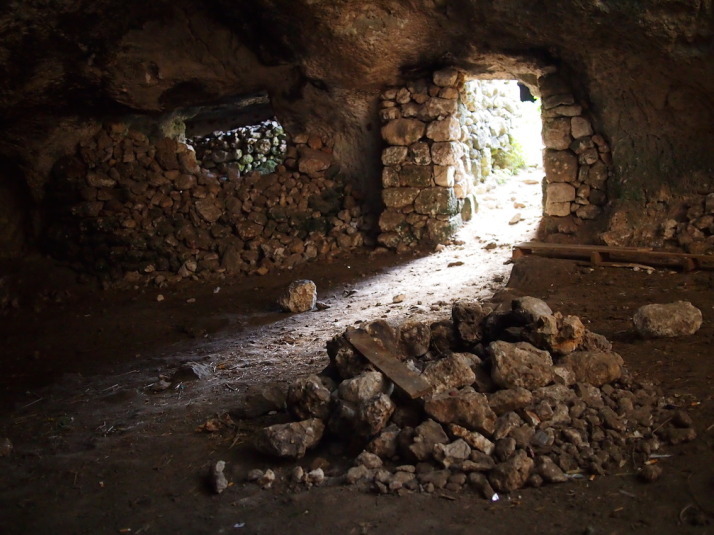 One thing though – bring a packed lunch with you as the route is fairly remote, though there are cafes and restaurants at the end in Wied iż-Żurrieq. 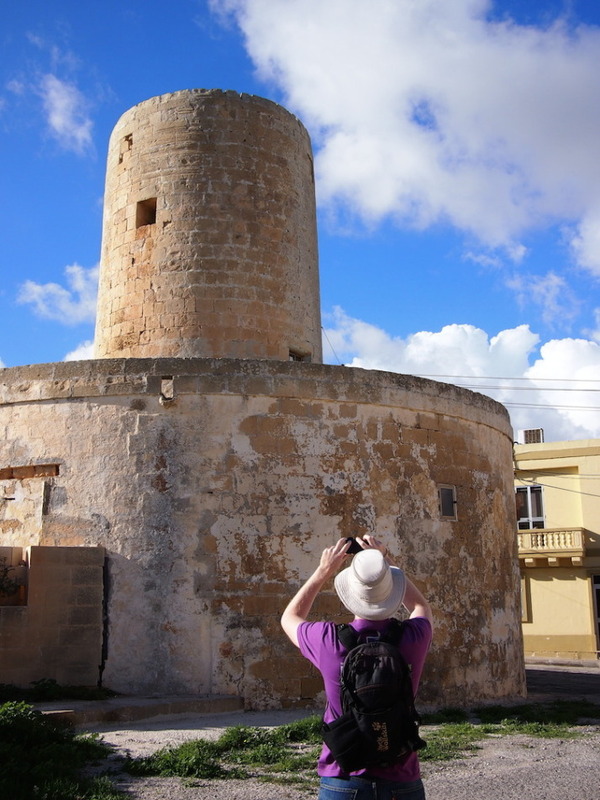 What we liked: Good variety of sights – watchtowers, beaches, holiday bays, local bird traps and the odd church, and having a beer and a packet of crisps on the Għadira beach at the end! 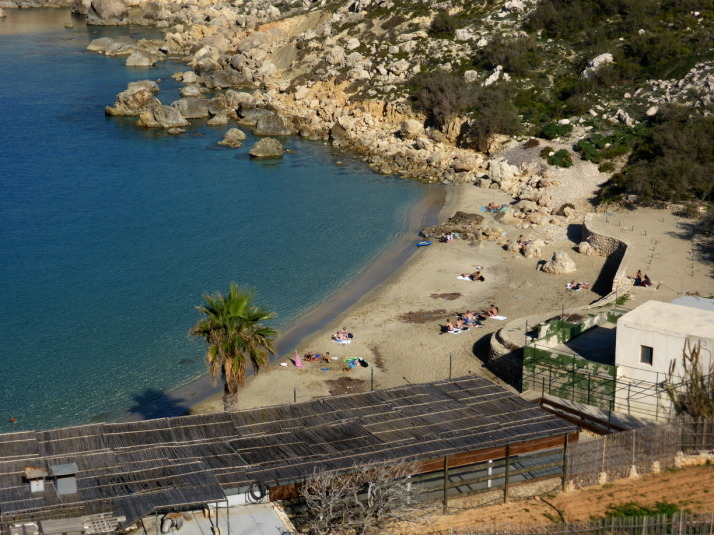 The aptly named Paradise Bay is on the route – don’t forget your swimming costume! 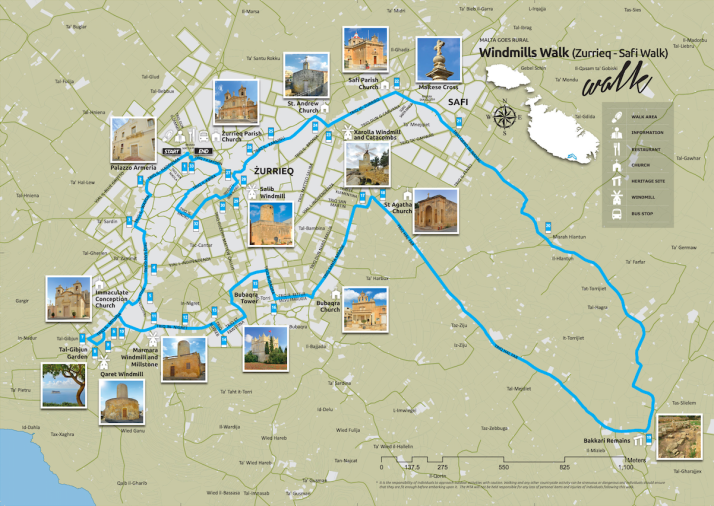 This walk circumnavigates the very northern outcrop of Malta, and it took us over an hour to get there by bus from Valletta where we were greeted by an uphill hike! As we were off-season a lot of the little holiday bays and lovely secluded beaches were very quiet though I suspect it’d be very different in the summer. 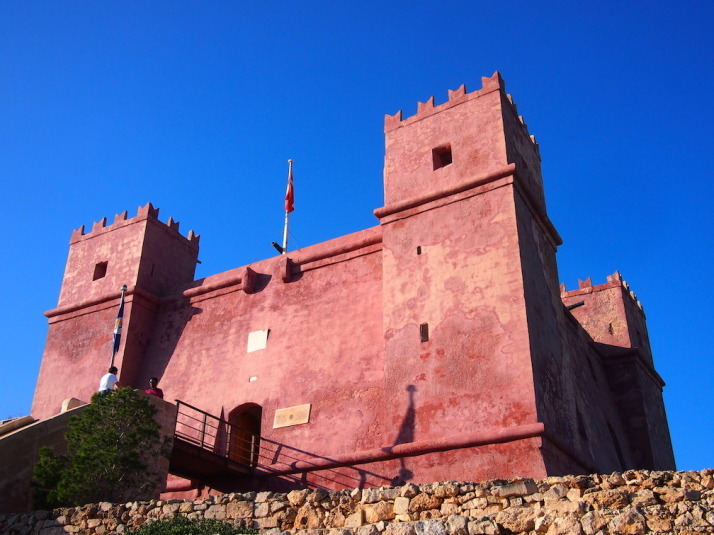 Still, this walk includes a nice variety of sights and the highlight of the Red Tower is saved for the end. 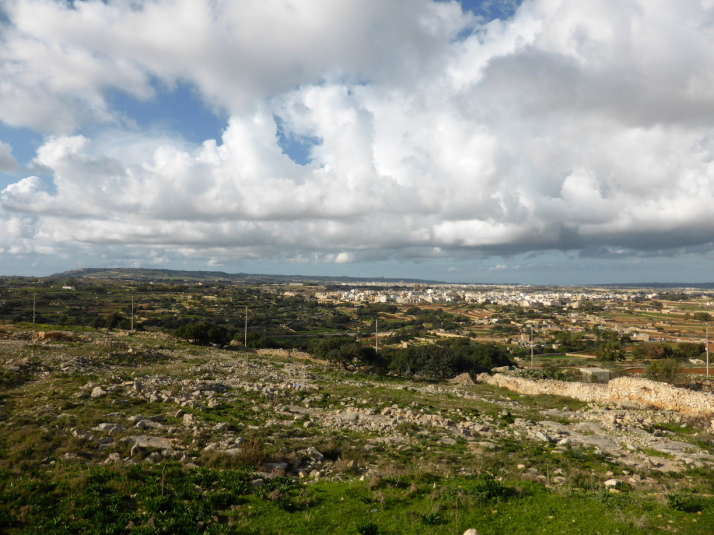 The view across Malta from the Tal-Ġibjun Garden viewpoint is worth the visit to Żurrieq even if you don’t do the walk! .. but then you’d miss out on the milling history of the island! 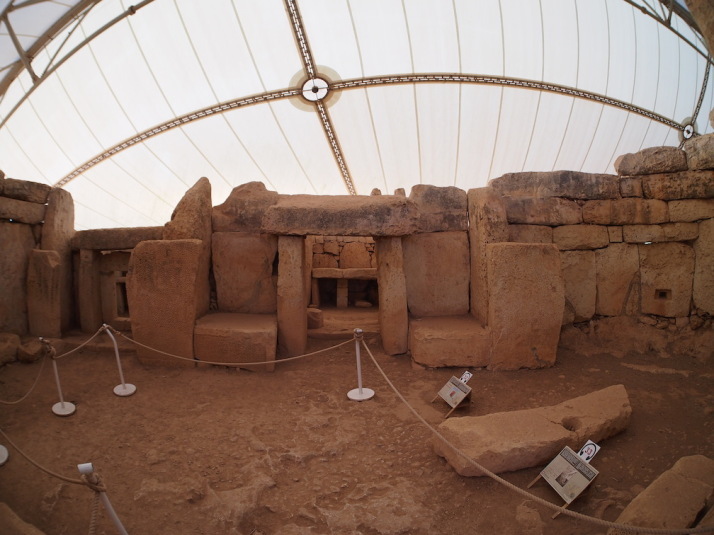 First, a confession – we skipped out the Bakkari Remains and stayed in Żurrieq because we’d spent so much time at the excellent Tal-Ġibjun Garden viewpoint reading about the sights, events and identifying the landmarks from this natural vantage point. Of all the windmills, only one is still active, and it sits atop some old burial pits! This is quite a compact walk so we twinned it with a stop at the Blue Grotto to make a day of it. A small section of the ‘Cart Ruts’ at the so-called ‘Clapham Junction’ – what were they used for? 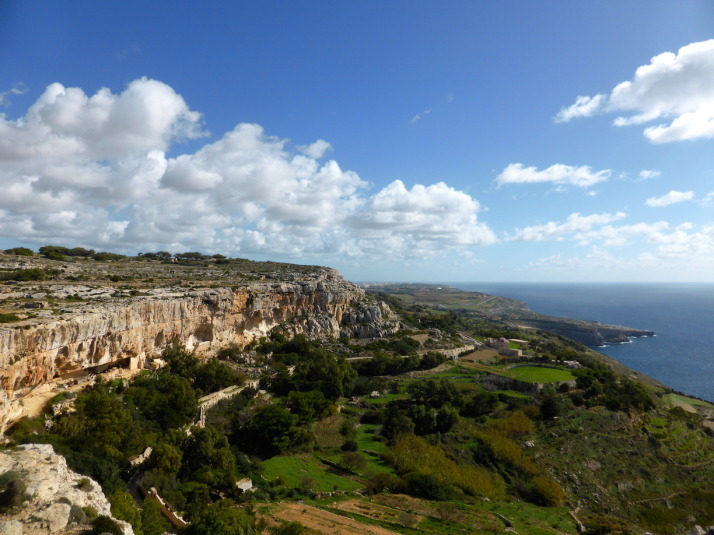 This is our favourite of the walks we’ve done on Malta because the detour to the field of ‘Cart Ruts’ just points you at the right place but leaves you to find them. It was really enjoyable trying to actually find the famous ‘Clapham Junction’ and then further up the same field are burial pits and the ‘Big Cave’ that was inhabitanted until 1835. Other highlights for us were the huge bronze Laferla Cross (which we saw from the viewpoint of the previous Windmills walk), the figures surrounding the dome of the Providence Church, and serendipitously visiting on the annual St Nicholas Parish church open day, where they opened up the roof and the organ pit. We got great views from the top of the church, and befriended a local guy who showed us the belfry and invited us to the village festival at the end of July next year! 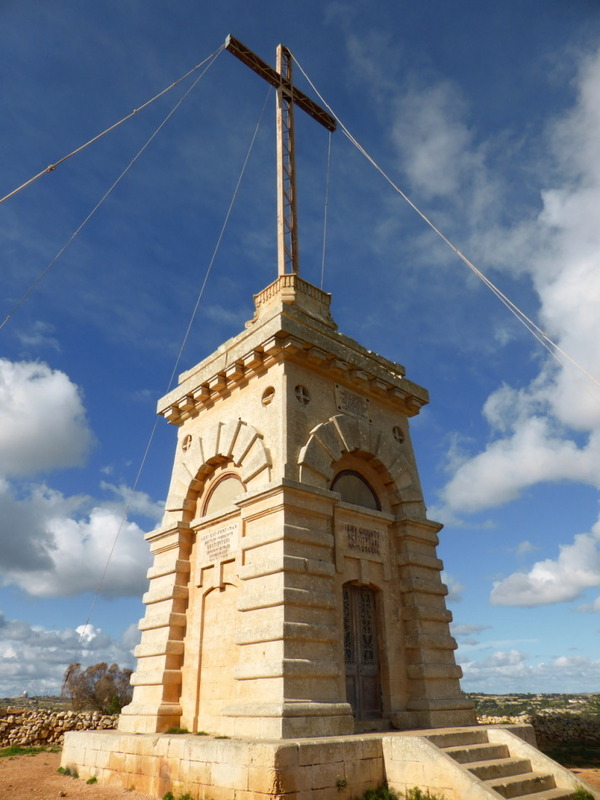 The start of the walk is Siġġiewi Parish church. When we tried to enter we were told that the entrance was through the belfry! For a small mandatory donation we got to climb onto the roof and on the way down we were given an introduction to the Church’s organ! 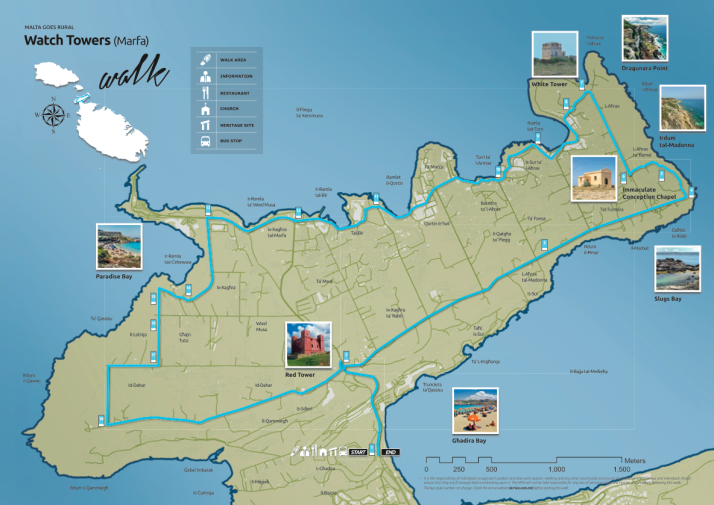 As this walk starts at the end of the previous Girgenti Walk, we did them both in the same day, stopping in Siġġiewi for a spot of lunch between them. 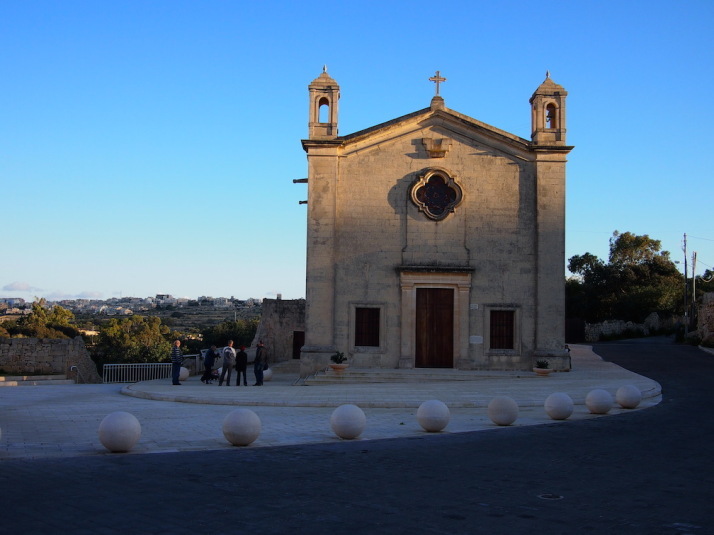 This is very much a rural Maltese countryside walk far from any tourist attractions, but our timing was impeccable as the lovely little Hal-Xluq Church was home to a local artists’ exhibition – which is the only other time of the year the church opens its doors besides the village festivities! 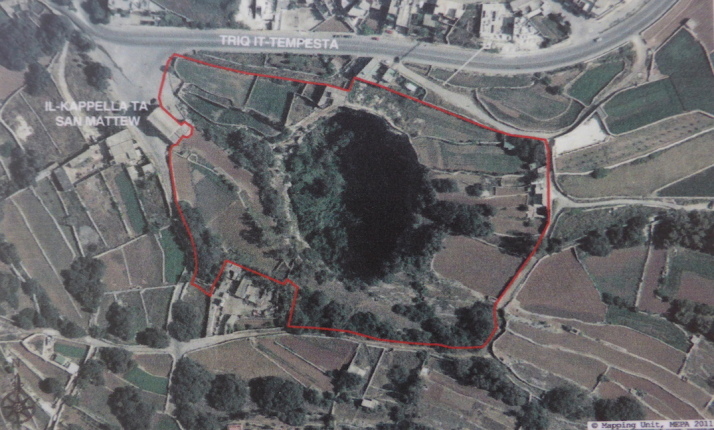 The other highlight for us was the giant sinkhole in the Maqluba valley that appeared in 1343, just outside Qrendi, and almost took the then smaller chapel of St. Matthew with it! 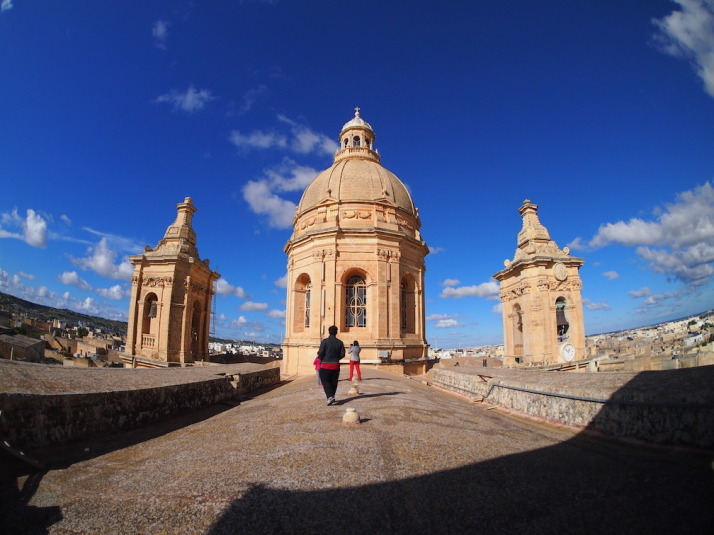 This entry was posted in Experiences, Places and tagged Church, Malta, Walk on December 16, 2014 by Andrew. What is 34 + 22 ?